FS: Soft and hard gear - all gotta go (in the name of Velcor)! Hello dudes and dudesses of MCB. I bring forth many cheap gears, that I need gone. All items from a smoke/pet-free home. Please help and I shall ask Velcor (all hail) to smile on you favourably. All items priced with shipping included. Doc's Machine T-shirt. Size L. Well used. Clean. GONE! MCB Long-sleeved T-shirt. Size L. Barely worn. Clean. $15 shipped. Some old Nexed pants. Size XL (38-42). 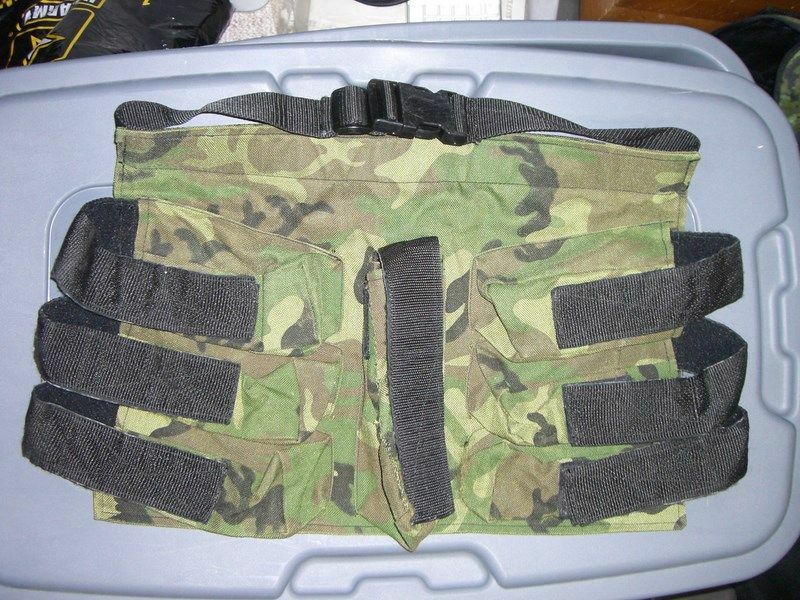 Padded groin (knees not padded) with 2 side pockets that fit 150 round guppies. $20 SOLD! Old JT Flame gloves. 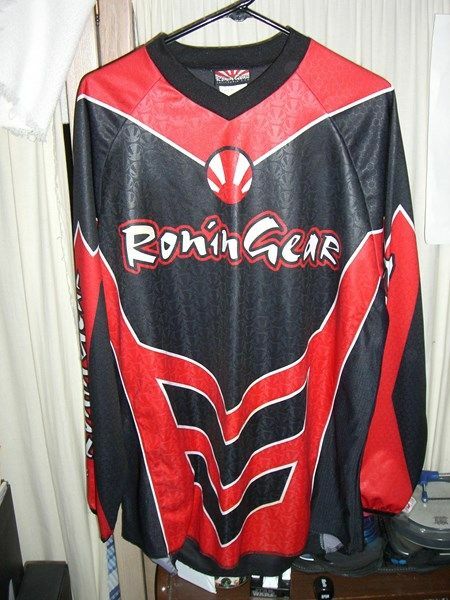 Size XL - 10. $7 SOLD! 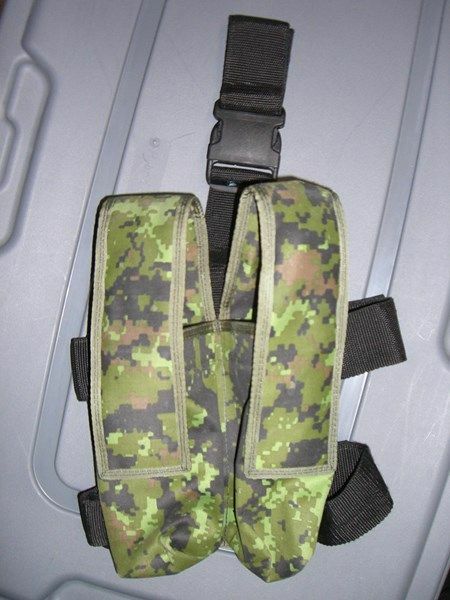 MOLLE Tac rig. Clean with a few stains in velcro. 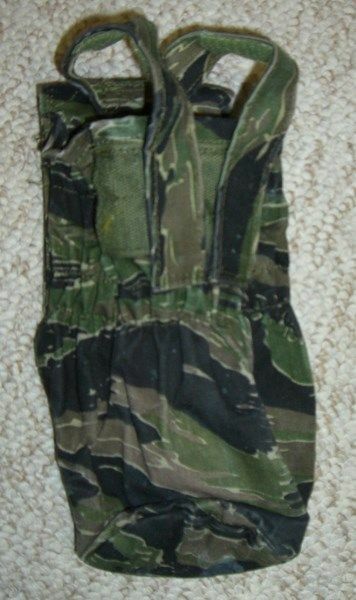 Has pouch on back for hydration or whatever. Also has small front pouch (middle) and 2 inside mesh pockets. $25 SOLD! SpecOps 150 round double pouches. MOLLE. $10 each/$17 for both SOLD! 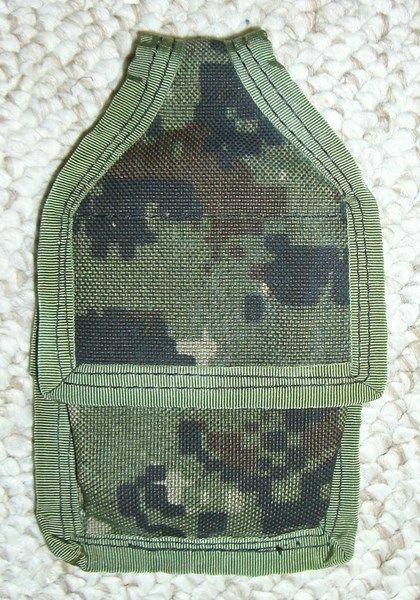 SpecOps tank pouch. MOLLE. Fits a 68/4500 and lower. $10 SOLD! 150 round pods. 2 don't flip open so well, but are good otherwise. FREE with purchase of pod pouches, $1 each ALL SOLD! 10 round tubes with speed caps. Never used but have letters "A.B." scratched in tops. 4 for $1 SOLD! 10 round tube pouch. $7 SOLD! Orignal JT ProShield face shield. No cracks, includes screws. $10 SOLD! Original JT ProShield visor. A bit dirty but otherwise in good shape. $7 SOLD! 2 50 round guppies-$2 for both SOLD! ; 12" cocker threaded-$7; 9" rifled, cocker threaded, stamped "Made in Mexico"-$7 SOLD! ; PPS Houndstooth pump rod with bolt pin, brand new-$5 SOLD! ; neoprene stock sleve with loops-$5 SOLD! ; Gunslinger grips (leather and rubber)-$7 SOLD! Last edited by CrazyBoy78; 07-31-2017 at 01:17 PM. Sent you an offer on some of your swag. May Velcor deflect all potential nut shots upon thee. Many wishes for a productive (and Velcor Approved) Taco Tuesday! 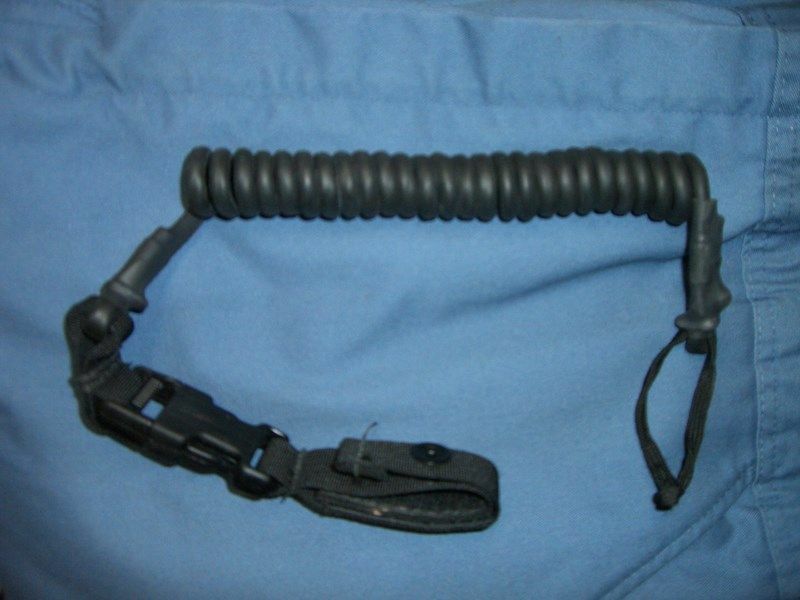 hows the 10 round tube pouch attach? 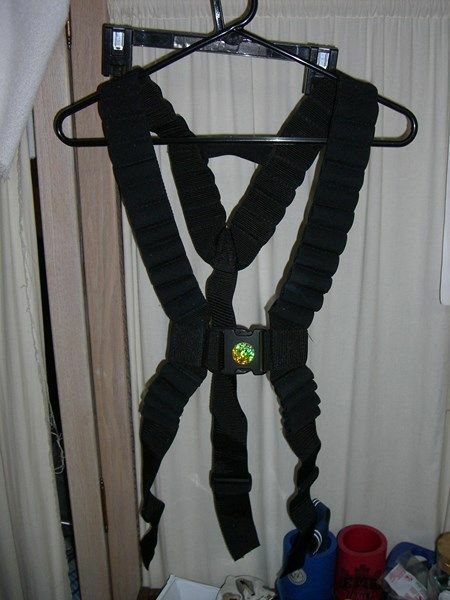 would it work on a belt? It's got a belt loop on the back, just as Velcor requested. Some pods gone, some stuff possibly pending! Come one, come all, and prove to Velcor you are worthy! Couple o' shirts added. Buy either of these, and Velcor will be sure to smile upon thee!